Shea Langeliers didn’t start catching until he was 12 years old, as he was a shortstop growing up. But by the time he reached his senior year of high school in 2016, Langeliers was one of the top prep backstops in the country. 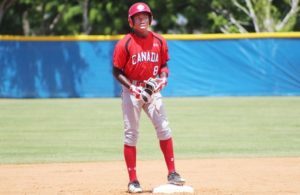 Known for his defensive abilities, especially his arm strength, the Toronto Blue Jays selected the Keller, Texas native as a courtesy pick in the 34thround of the 2016 MLB draft. Langeliers opted to attend college and honor his commitment to Baylor University. 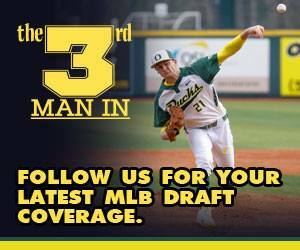 As he enters his junior season at Baylor this spring, Langeliers has the potential to go first overall to the Baltimore Orioles. MLB.com ranks Langeliers as the third overall prospect for June’s draft. Right-handed pitcher Stan Hilton is the highest draft pick in Baylor history, as the Oakland Athletics drafted him fifth overall in 1983. He doesn’t regret attending Baylor and bypassing professional baseball out of high school. He believes he’s made significant strides as a player, which will assist him when he does start a pro career. 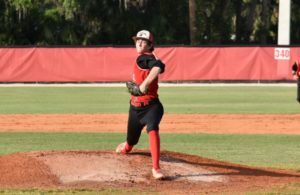 “Baseball is a game of failure and it’s very mentally tough to stay strong in this game,” Langeliers said. “I feel like coach (Steve) Rodriguez and coach (Jon) Strauss have open dialogue and I can talk to them about anything. Langeliers has a well-rounded toolset with his defense being his top skill. He has elite arm strength, above-average receiving and blocking ability, and athleticism behind the plate. He threw out 70 percent of base stealers and recorded 1.7-second pop times in workouts and 1.8-second times during games as a sophomore last year. Although Langeliers doesn’t call pitches, he has dialogue with Baylor pitching coach Jon Strauss about how to attack opposing hitters. “I’m a catch-and-throw guy that’s really learned how to manage a pitching staff in the three years I’ve been here,” said Langeliers, who won the 2018 Rawlings/ABCA Gold Glove award as college baseball’s top defensive catcher. Langeliers, a right-handed batter, hit .313 with 10 home runs and 38 RBIs in 55 games as a freshman in 2017. He also struck out 37 times and drew 24 walks. As a sophomore last season, his production dropped off. He posted a .252 batting average with 11 home runs and 44 RBIs. He recorded 45 strikeouts compared to 35 walks. Langeliers said he was “trying too hard” in the beginning of the season before returning closer to his freshman form in the second half of the season. 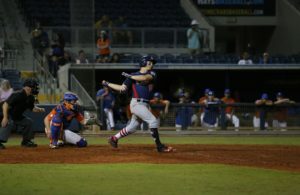 “I was relaxing more at the plate and being content with hitting a line drive up the middle of the field instead of hitting a homer,” Langeliers said. He projects as a solid average hitter with respectable power. His goal this offseason was to improve his power ability to the opposite field. 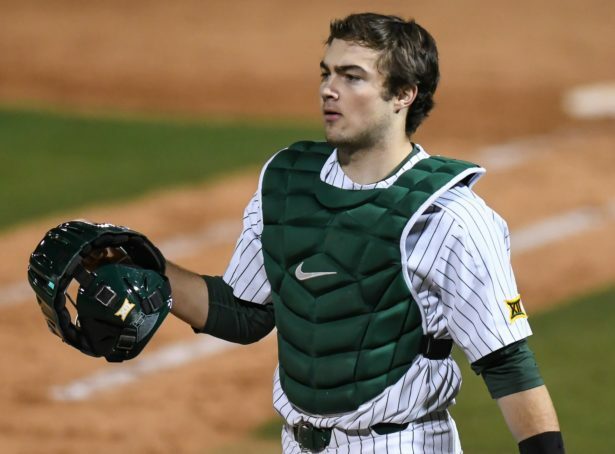 Although the draft is looming, Langeliers’ attention remains on improving his ability at the plate and leading Baylor to a College World Series appearance. Baylor tallied a 37-21 record with its season ending in a NCAA Regional last year.